It sounds like a silly rhyme — “Sleep tight. 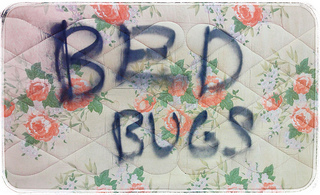 Don’t let the bedbugs bite.” — but for an increasing number of people bedbugs have become an all-too-real nightmare. Even a brief encounter with bedbugs can leave a person in a great deal of discomfort, a feeling that is only magnified when pleas for help go unheeded. Our San Francisco bed bug lawyer helps people who have experienced this distress, including tenants whose landlords ignored their pleas for a solution. Today’s blog entry looks at one of the more recent cases of bedbugs in California and then shifts focus to bedbug lawsuits looking at the types of damages available to bedbug victims and the possibility of a bedbug class action. Senior Living Community Facing Bedbug Infestation Residents of one senior living facility in Desert Hot Springs are among the many Californians battling a bedbug infestation. KESQ, a CBS affiliate, reports that many residents of Linda Vista Senior Residences have found themselves covered in bedbug bites. One woman said her loved ones are afraid to visit, especially after a friend and the friend’s children spent one night with her and awoke to “bumps all over.” Desert Hot Springs is investigating conditions at the community and vows to help improve conditions. The City has also issued citations to the management company based on code violations although the article does not provide details/specifics on those citations. Habitability & Bedbug Lawsuits Renters suffering from a bedbug infestation may have a legal claim against their landlord, the property management company and/or the property owner. These claims often rest on the implied warranty of habitability, a standard discussed in the “Dealing With Problems” section of a guide authored by the state’s Department of Consumer Affairs. Essentially, a tenant filing a bedbug claim will usually allege that the infestation has made the unit unfit for human occupation. Damages in Bedbug Suits & The Importance of Class Actions An important question asked by clients of our Northern California bedbug law firm is what type of damages a court can award. Examples of expenses that a landlord/owner may be ordered to pay include: Medical expenses; Inspection/Extermination costs; Relocation expenses; Lost wages (ex. pay lost while visiting a doctor or staying home for a pest control company’s visit); Compensation for pain and suffering; and Compensation for property damage. A court may also award money for the mental/emotional anguish and physical pain tied to the infestation. In some cases, particularly where the defendant ignored a known bed bug problem, the court may also award punitive damages which are intended to punish the wrongdoer. Settlement agreements often contain similar elements. Sometimes bedbug victims suffer serious medical problems as a result of the infestation. In other cases, the consequences of an infestation are more minor (i.e. an individual resident may only have a few bites). An individual may be hesitant to initiate legal action where they can only expect a small monetary award. When a multi-unit property is infested, particularly when many people all suffered relatively minor problems, a class action suit may be more cost-effective than individual suits. Working as a collective can help ensure tenants are compensated for their losses and push the landlord/owner to deal with the bedbug problem. Having an experienced California class action attorney like Greg Brod is essential to success. If you are a renter in Northern California and you have suffered from a bedbug infestation, no matter how large or small your claim may be, please call us at 800-427-7020. We can help.